The Bible is the best-selling book of all time. Jesus has been hailed by secular sources as the most influential person to ever walk on the earth. Most people, even those who don't worship God, agree that Jesus was a good person with a message of love that changed humanity, so much so that the world divides the measurement of time based on HIS life. If you're not religious but you care what other people have to say--whether Plato, Oprah, Steven Hawking, or Bruno Mars--how can you consider yourself a truly rounded person if you haven't read for yourself what Jesus said? If you don't care what anyone has to say, then your choice to not read the Bible isn't based on religiosity but on apathy, which is an entirely different issue. 2. The Bible is for white Americans. The Bible has full translations in 531 languages and has portions translated in 2,883 languages. It is read by people-groups and cultures around the world. It's THE ONLY book that has such staggering cross-cultural popularity! 3. I can't get past Genesis. If you're saying this, then you probably ARE a white American. Anglo-saxons think linearly, and so you have probably opened the Bible at the beginning, enjoyed the chronological stories, and then somewhere after Moses, you got confused and stopped reading. Here's a hint to Western thinkers: it's not organized chronologically. Other cultures, most of them actually, think differently--circularly or thematically for examples. The Bible contains a little of all the cultures (it's like it was written by a God who equally loves ALL people!). But I recommend to a reader from any culture that a great starting place is the book of John because 1.) it's not too long, 2.) you'll find information about the ages including stories of Jesus, and 3.) it says a lot about the true meaning of love. For the remainder, you can find multiple reading plans online in your style, pace, and desired translation. Examples: You can read a page or two each day, or you can read the whole thing in a year (or 6 months, or 90 days!). You could dip back and forth between the Old and New Testaments, helping you to understand how they fit together, or you could even read it chronologically if you so desire. Did you know there's a whole section of poetry? Maybe you're the type who wants to spend more time there! 4. I can't pay attention / It's boring. How can an ancient text compete with today's short attention spans? Thankfully, the Bible is available in modern mediums. You can use the free app (any translation) on your smart phone. You can opt for notifications if you really need a pop to grab your attention. Or you can even get it as a coloring book. 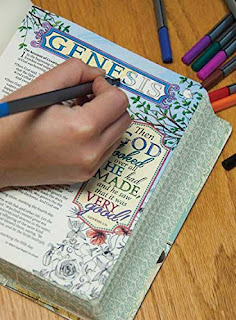 Yep, that's right, you can color and doodle the scriptures! Relax your mind, body, and fuel the soul all at once. If you find the subject matter boring, remind yourself that this is a love letter to you from God! He wants to reveal Himself, and this is the information He has chosen to bring to you. If someone else, anyone else, wrote you a love letter, would you put it aside because it was "boring?" Doubtful. It's not boring, you just need some help to understand it and stay engaged. A modern language translation can help you pay attention, also try journaling a chapter at a time and reflect upon these universal questions: What does this passage say about the nature of God? What does it say about the nature of people? What are 5 things I can be thankful for in this passage? You know that I don't make any money by suggesting these things right? No royalties for me. I'm just here to encourage. 5. I can't understand it / I need someone to interpret it for me. The Bible advises to meet together with other believers for mutual encouragement and understanding. Have you considered joining a group study? Also, you can have the benefit of wise counsel in private by using a Study Bible. Many Spirit-filled people have put together volumes with commentary to help you understand. 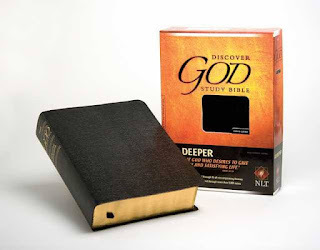 My absolute favorite is the "Discover God" Study Bible. *I personally would avoid any study Bible or website that is labeled for a particular sect of the church because these can have a marginalized interpretation rather than the broadly accepted conclusions. This is a trustworthy study Bible. It does not altar the text, but provides an accurate easy-to-read translation. Each page has brief commentary, definitions, and explanations that bridge understanding. The focus is a deeper understanding of God--His person, purpose, and attributes. 6. The Bible is full of errors. 7. I don't have time. I've got a busy schedule too, so I understand that adding something to an already full plate is sometimes not feasible. I mentioned there's a smart phone app (which if you're honest, you may be wasting a little bit of time on your device). But there are also audio versions of the Bible. Listen to it while you're on the move or while doing chores. You can even watch it on YouTube (another known time-waster). Redeem these wasted minutes of your week by challenging your mind! A wise friend of mine says, "Everyone has time to read 10 minutes a day." It's true. Here's a teacher who gives a verse and an explanation in a 5 minute weekly video. You can subscribe to her station and get the link sent right to you. Or you can have written portions sent to your email for free (here) from the book of John. If you say that you can't set aside 10 minutes, then the issue isn't really a matter of time, but of desire, am I right? 8. The Bible doesn't work for me. 2. You've had an experience of disappointment. 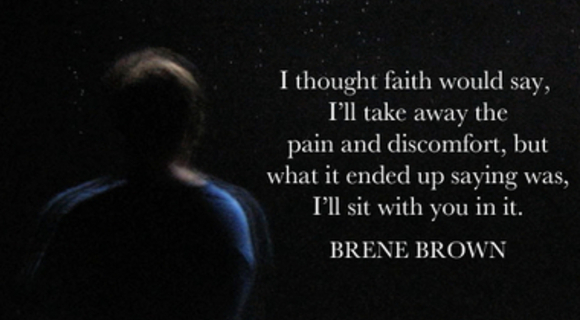 Maybe you're feeling as if you've been let down by God? Maybe you're unemployed, lonely, or suffering? Can I tell you what words the Bible says about this very thing? If you're hurting, then God is INVITING you to come to Him. If you read the Psalms, you will find people, just like you, who have poured out their hearts to God, who have gone through tremendous suffering, and in His presence, have found hope. If you turn away from God during the hard times, you're doing the opposite of what can help you most! Not sure how to start? Read the psalms. Start with Psalm 1 and read one each day. Highlight the parts that mention God's character, and think on those qualities throughout the day. Don't give up, don't stop at 10. If you miss a day, start again the next. You will be amazed if you continue! Want proof? Write your own psalm to God and seal it in an envelope, and when you reach Psalm 140, write another. Then open your sealed envelope and compare the two! (See post: Write your own Psalm to God) If you're coming to God as a consumer, i.e. "What deal do you have for me?" you will continue to miss the joy and peace that others talk about. But if you come to God as a seeker, "God, who are you? Let me know you more," then you will find Hope because He IS hope. 9. The Bible is contradictory/outdated. Saying the Bible is contradictory is like saying that Star Wars is contradictory: "Anakin Skywalker can't both be a Jedi and Darth Vader. This story is inconsistent. It obviously can't be trusted." No, just like Star Wars, there's an epic story happening in the Bible. If you skip the middle, you'll obviously be confused. The Bible spans all of human history. From the creation of the world to eternity, with a WHOLE LOT of stuff that happens in between. Some of that stuff IS outdated--meaning God gave rules to a specific group of people during a specific time, which don't apply to us today, but that doesn't mean it's not beneficial to know those details. Example: You read in the New Testament that "Jesus sets us free," and then you may ask, "Free from what?" If you read the whole thing, you will know with clarity. Some of the stories are universal--they are meant for all people in all times, but they contain cultural nuances from when they were written--this doesn't mean the story is outdated, but rather just like Shakespeare, the better we understand the setting, the better we can appreciate the story. If all of this sounds too difficult, don't worry, you can go back to Kindergarten and read a children's Bible to get an overview of the bigger story. However, many children's Bibles relay the stories individually rather than as pieces of one large story, so it's important to choose a good one. Two that I recommend are: The Big Picture Bible, and The Jesus Story Book Bible, which is our family's personal favorite. The kids love the stories, pictures, and audio cd's, but also it's told in such a beneficial way for adults' understanding that it was actually assigned as a textbook for one of our graduate level seminary courses. It's excellent in all regards. *I'm not recommending that you read this as a substitute, but rather as a supplement to help you enjoy and digest the whole of the Bible. 10. I just don't want to. I can't convince you to find it, but I will implore you to consider. Will you accept my challenge to read the Bible for yourself this year? Can I persuade you that there is no good reason to say no? Don't delay! Make this year the year that you read the Bible!